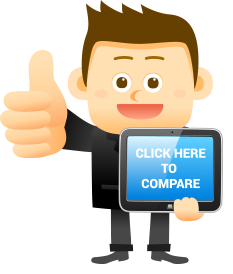 Compare Payday Loans and Compare Payday Lenders! This is your Comparison Section. Here you decide which Lender best suits your needs. There are 12 filters and you can use any number of them from 1 to 12 to help you find a suitable Lender. Your choice, you do not have to use all but you can if you want to. Please click on the Click Here To Compare Button on the right once you have made your selection. In addition, once you have set your filters, you can sort the remaining list of Lenders alphabetically or from highest to lowest value or vice versa. Clever Dosh Limited was established in 2012 and we operate out of our offices in Cheshire. Our aim is to be a trusted credit provider that offers transparent and safe short term loans for UK residents. Wageme.com is a London based finance company operating exclusively online. The company has interim Permission from the FCA and is a member of the Finance and Leasing Association. Peachy.co.uk (registered as Cash on Go Ltd) operates in the UK and is based in Manchester. We’re a direct lender and offer short-term loans from £50-£700. As one of the most trusted names in online lending, QuickQuid is dedicated to a more flexible type of borrowing. Nextcredit is a forward thinking diversified finance company.